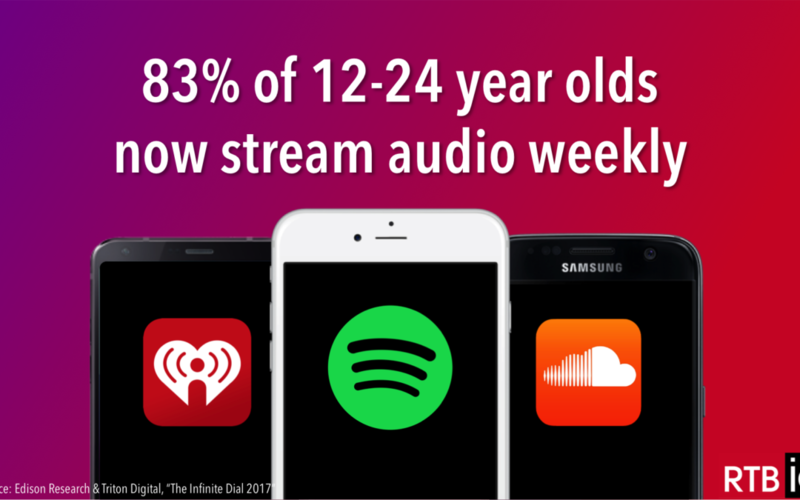 According to a recent study conducted by Edison Research and audio ad exchange Triton Digital, digital audio listenership is up in 2017. How will this growth benefit audio advertisers? With increasing listenership across streaming audio channels, programmatic audio platforms will see their landscape and capabilities evolve as well. Not significantly for a while, however. Audio inventory is still seen as premium by publishers, many of which still sell spots on traditional radio ad models. That said, private marketplace deals will likely become more accessible / publishers more negotiable on pricing, and more 2nd price auctions will become available. Demand side platforms have distinct advantages over buying direct from audio publishers like Pandora. Segmenting inventory on publishers like Spotify, iHeartRadio and SoundCloud allow DSPs to make>Double Verify will make tools for monitoring inventory available.